I received discounted blow drys for myself and my friends for review purposes. All opinions are my own and this is not a compensated post. Real quick – the winners of my Lightlife veggie products giveaway are Katie, Amy, and Amanda! I will be emailing you about claiming your prize! 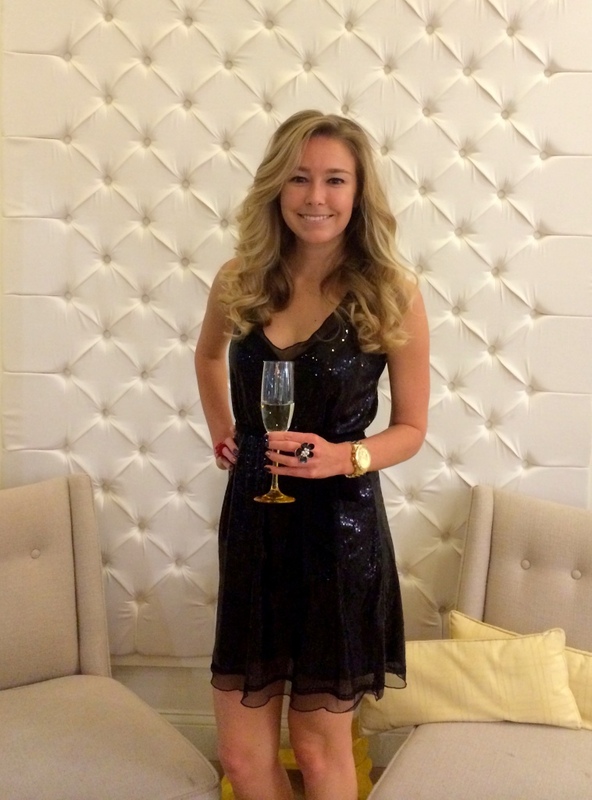 A couple of weeks ago I decided to attend Thirst Boston‘s opening night gala, The Thing, on Friday 11/7. My friends Jeannie and Allie agreed to join, and we knew we wanted to make it a big night out. That included getting dolled up in black dresses and looking our best. 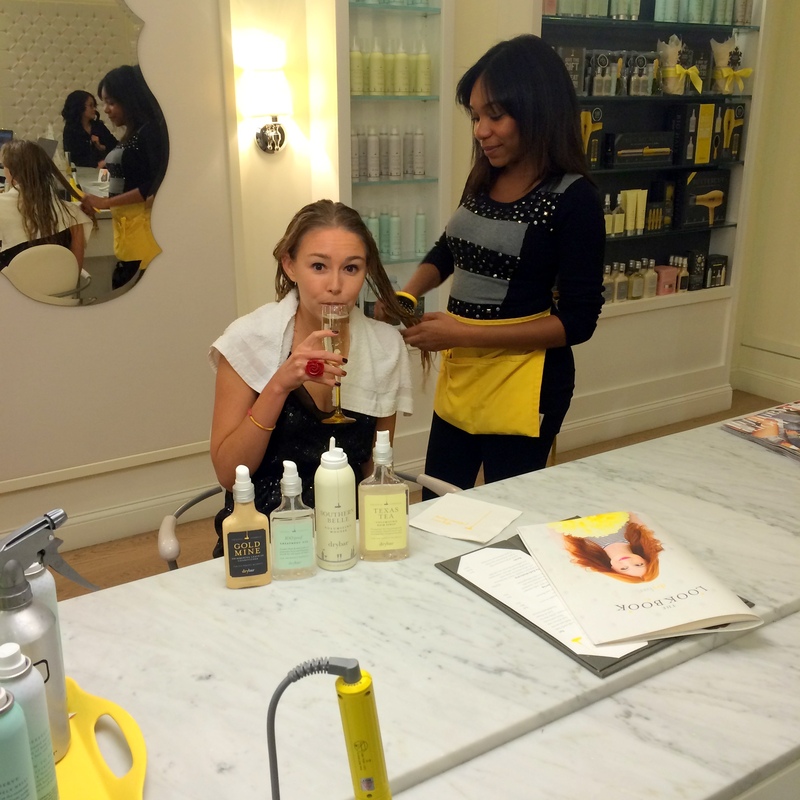 Thankfully, drybar in Chestnut Hill Square was willing to help us out with that part. “The Mind Project” was playing – so appropriate. 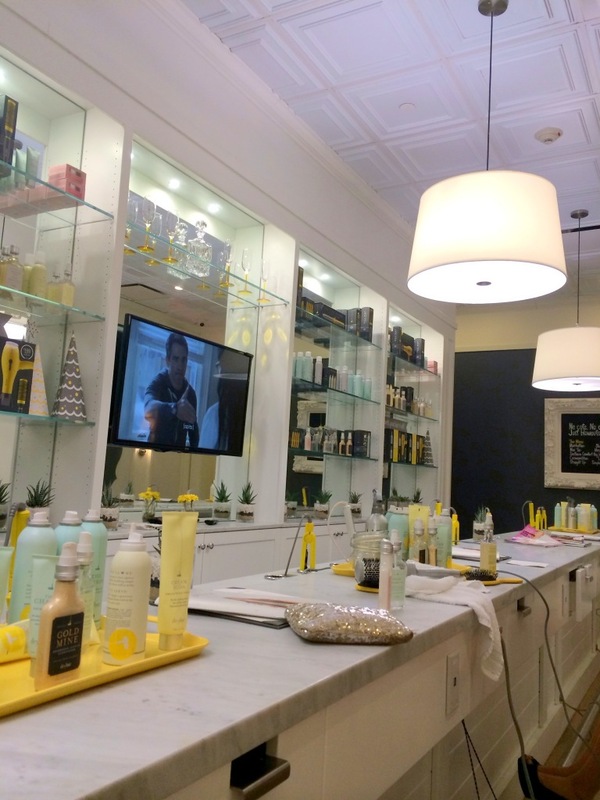 I just love drybar’s decor and overall branding! Even the products used during each blow dry have adorable names. I seriously considered purchasing the middle product, Southern Belle Volumizing Mousse. First Jeannie, Allie, and I were taken into a back room where our hair was washed. We had to wait a few minutes because one sink was out of order, but the staff was very polite and chatted with us while we waited. Time flew by quickly and once my head was under the water I became instantly relaxed. 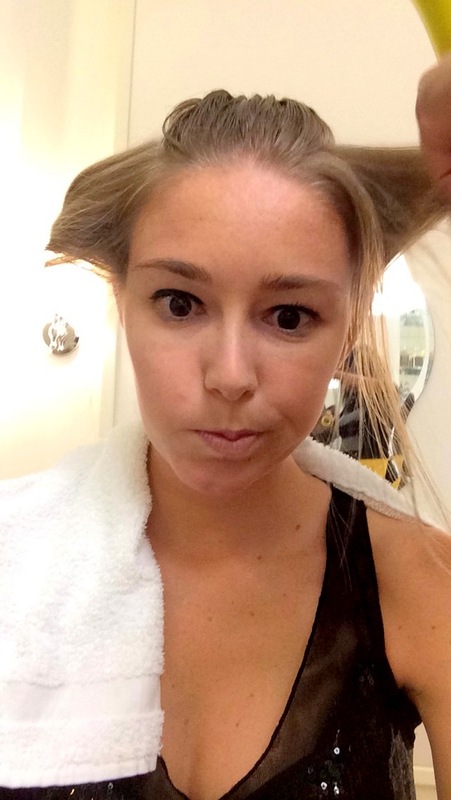 My favorite part of getting my hair done is the wash! Allie and Jeannie await their washes. 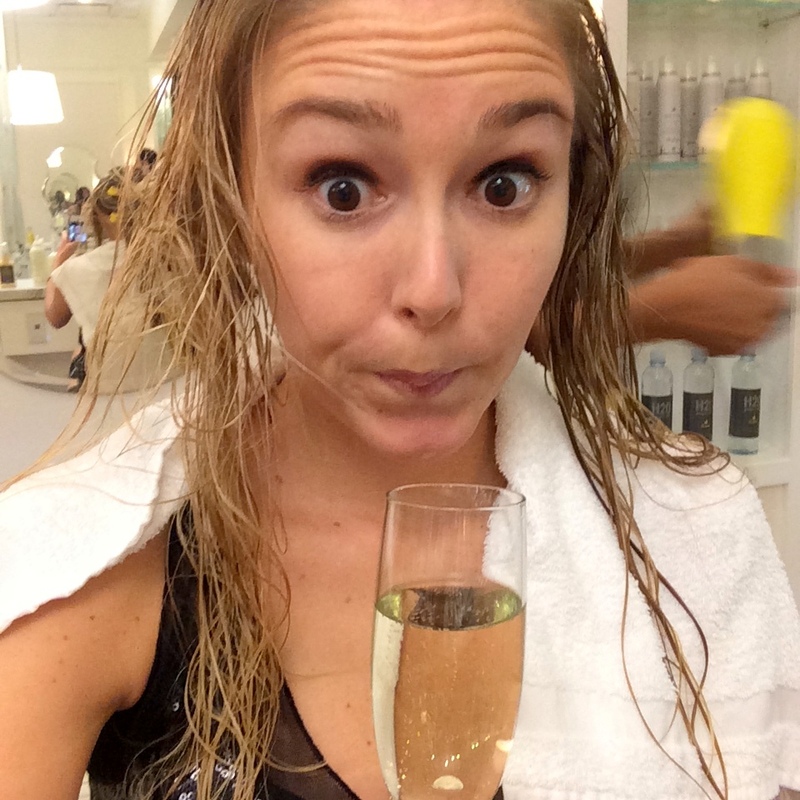 drybar serves champagne, but I didn’t realize that so I had come prepared with 90+ Cellars Prosecco (of course). Between the three of us we had no problem finishing the bottle. How adorable are these champagne flutes?! Everything is on-brand! 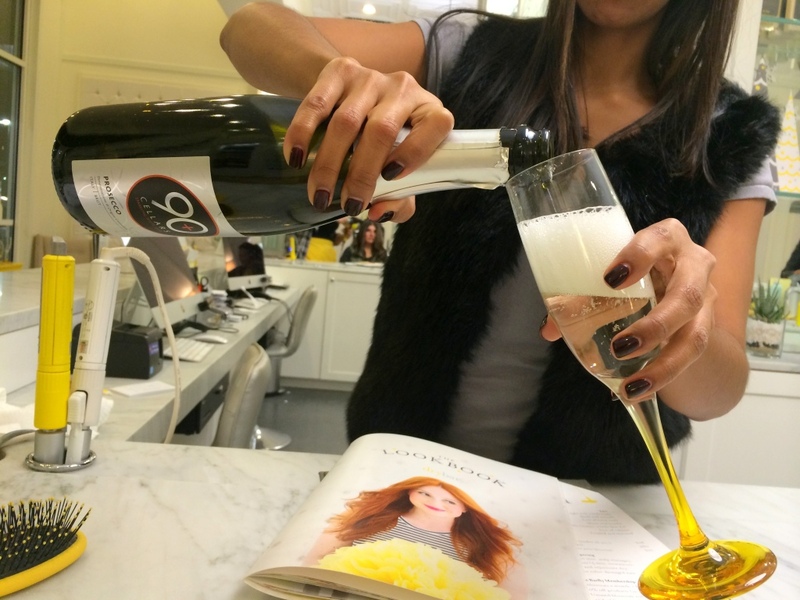 Sipping on bubbles while getting my hair done seriously made me feel so fabulous, and relaxed too. 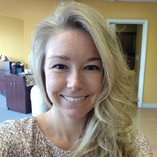 While she worked, my stylist asked me questions like whether or not I minded her using certain products in my hair. I had mentioned during the wash that I don’t put conditioner on top of my head because that can make my scalp oily, and she remembered that fact during the styling portion and used products geared toward those prone to oily hair. I appreciated that attention to detail! Every stylist wears black with a yellow apron. Also, I can never not look awkward in a “candid photo”. Of course selfies had to happen. I went for The Cosmo, because I never give myself curls, so I am always all about the chance to have them! 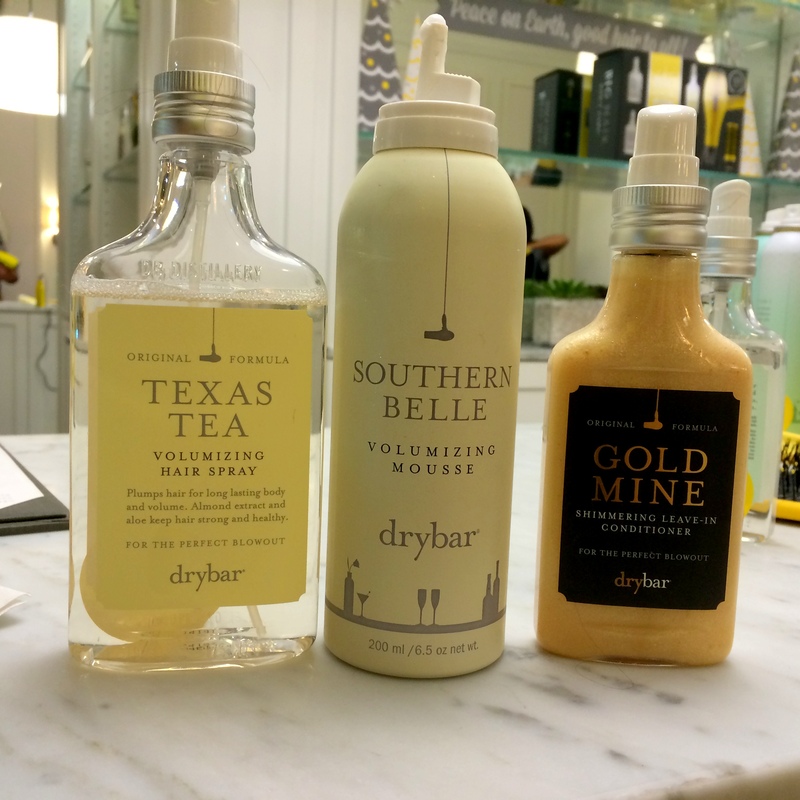 I like that at drybar, the stylist does your hair facing away from the mirror, so that when the chair is turned after it’s done, it’s like a grand finale! I was SOOOO happy with how my hair came out! I seriously could not get over how glam I felt and my mood was seriously boosted the entire evening at The Thing because I felt like I fit right in with the rest of the fabulous party-goers. drybar has a convenient “photo area”. Jeannie and Allie were also psyched by how well their hair turned out. All three of us received compliments at the event! 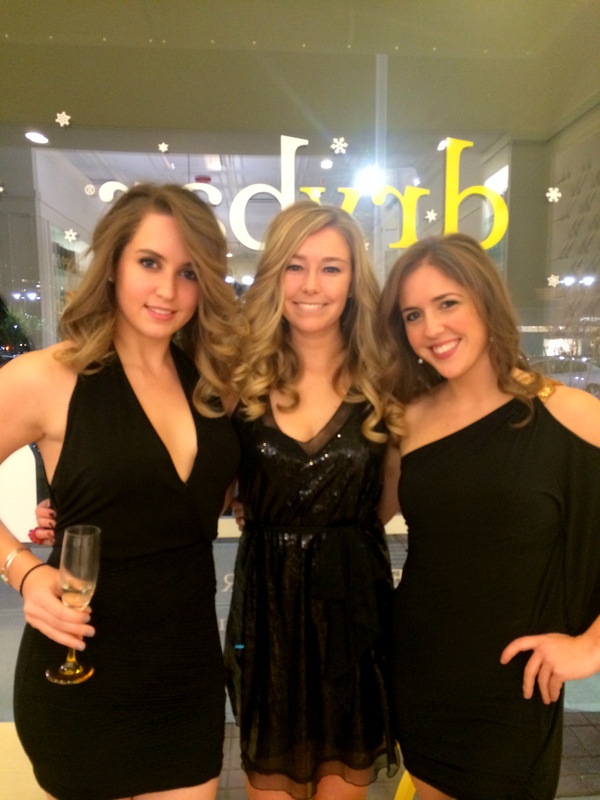 Thank you so much to Chestnut Hill Square and drybar Chestnut Hill for starting our Friday night off right. We had a great time and will definitely be back next time we have an event that calls for some glamifying! Ladies at The Thing after a couple of hours – hair still intact! What kind of events do you think deserve a fancy hairdo? 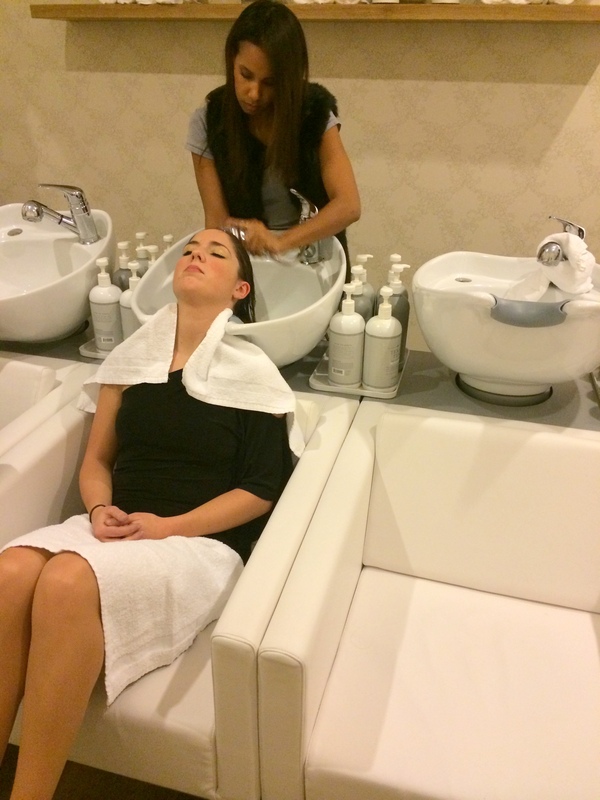 Have you ever visited a blow dry bar?